I got my kids' H.S. 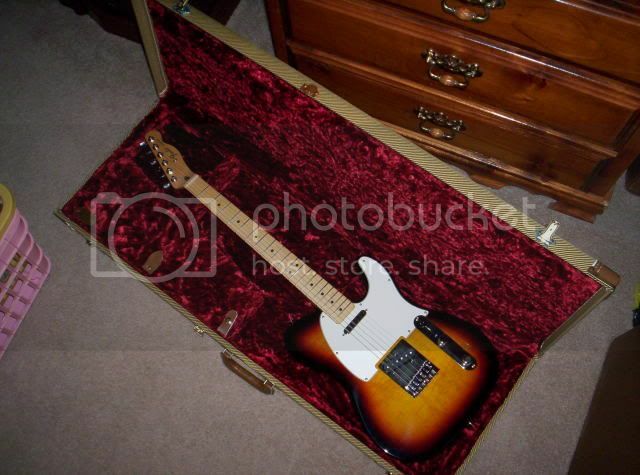 graduation present for her today, a brown sunburst tele. I must say after going over it from top to bottom, I am impressed with the quality. I couldn't find any kind of flaw, no sharp frets, nothin. Wish I could say the same thing about the MIC LPs I have gotten. I bought a MIM Strat in 1997 new, it still looks and play great. No issues at all. For the money they can't be beat. My brown burst was perfect as well. Did you get the latest generation with tinted neck and headstock? the last time i went to try out some strats. A MIM had better quality control in comparison to 2 other MIA strats i tried. My MIM '06 strat is pretty darn good. The frets stick out of the neck just a wee bit, but otherwise flawless. Gotta admit this is the first Fender product I've bought, so I'm not that knowledgable. I believe the neck and headstock have some tint, they're not a white maple. 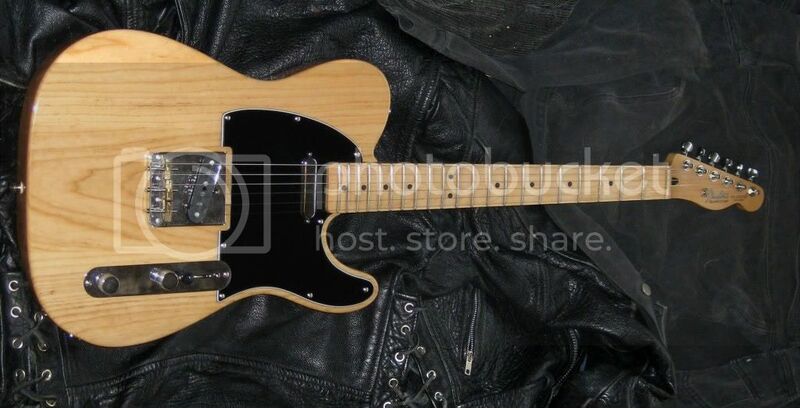 It looks just like your strat, only a tele. The guitar dater just gives made in 2008 or 09. I've been trying out a number of Teles lately. The MIA's are incredibly expensive in Canada. So I've been checking out the MIM's as well. I really can't see a significant difference between the two quality wise. The big difference is price. Are you going to flash any pics of the Tele Captain? This is only the third one I have ever bought. 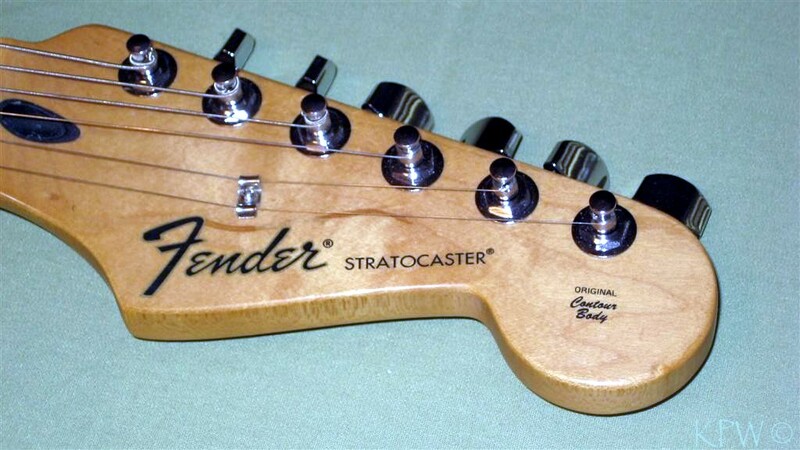 The latest generation has the serial number on the back of the headstock. Cool, because here is the difference in a few months. You can clearly see the difference in the tinting. I have 2 MIM Fenders. A R.Cray Strat and a Nashville Deluxe Tele. They are first and only Fenders I've ever owned. Both guitars are great.They play and sound good. Well built. No blatant flaws. You really can't beat um for the $$$. My only complaint is that Strat has the truss rod adjustment screw on the body end of the neck, so it's a little difficult for adjustments. 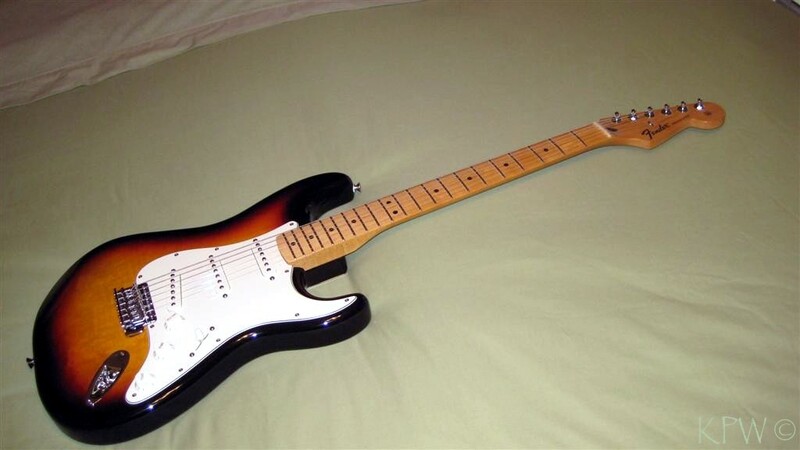 The Strat fret board is rosewood, but the back neck and head stock are tinted. I can tell because the end of the frets are stained a brownish hue. I've really bonded w/ the Strat. It's my # 2 now behind my LP Deluxe. Iused kiwi brown shoe polish to tint my MIM, worked like a charm and has held up remarably well. It doesn't come off on your fingers? Not at all, you apply very thin coats, let each coat dry and harden, buff all the execces off, and repeat untill you reach the desired tint level. The polish gets into the wood, not on it, everthing on the surface gets buffed out. Mines held up just fine the past 6 months with tones of play. Pros of this method are its cheap, easy , and semi easily undone, I've actually lighten it a little from the example pic as after all my modding I thought it was a little too dark. Heres a shot with the board lightend ( just a light sanding to remove the polish at the surface foloowed by a lighter application), I left the headstock alone. Cons, this only works for satin finished necks, if its laquerd you'll have to remove the finish first, and if toyr going to that much trouble, might as well do it the right way with the reranch amber stain spray and finish it with nitro. I bought a new 2009 Tele (arctic white) a couple months back and I have to say its a fine instrument. 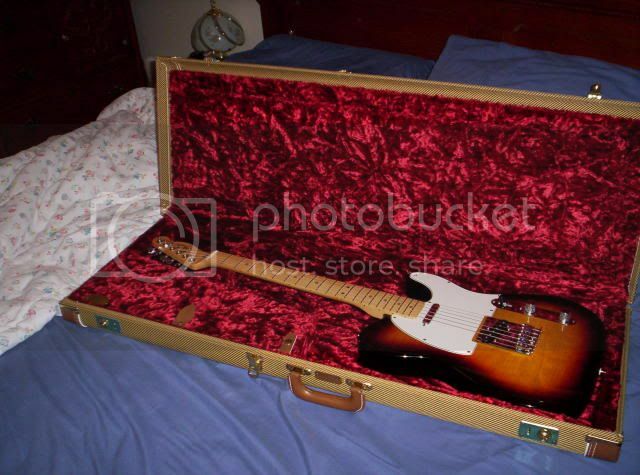 I got it before Fender raised their prices and with 10% off - $400.00. The hard ware is solid, the frets are level with a very slight protrusion off the edge of the neck, and neck is nice and smooth, the tuning machines are tight. I brought it home and plugged it in, didnt have to do anything to it. My 2007 Les Paul standard on the other hand needed a full pro set up, has sloppy tuning machines, and the nut needed work. The quality/price ratio is much higher with the MIM Fender. My original plan was to add an RS vintage wiring kit (which I did) and change the pickups. But I kind of like the low output pick ups, so I am keeping them  for now at least. I play it through a blues jr, and damn it sounds real nice. Almost as if they were made for each other. I can't upload pics from work, but Ill get some up later. I bought a Blues Junior from a friend who plays 'out'. He thought it wasn't versatile enough. I thought it made all his various guitars, including a Fernandes 'Strat' copy, Ibanez hollow-body, and Fender Telecaster, sound like a Telecaster. I think the Blues Junior is the PERFECT Telecaster amp! I think the Blues Junior is the PERFECT Telecaster amp! My M.I.M. 60's Classic Player's Strat is the nicest non custom shop strat I have ever owned, played or picked up, regardless of country of manufacture. 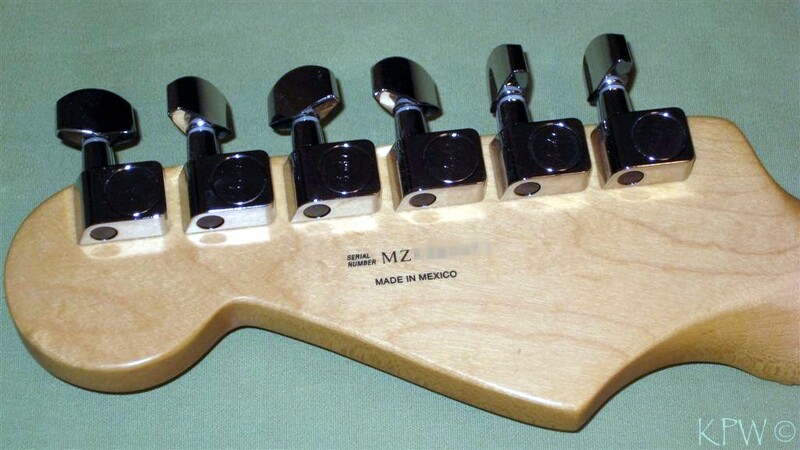 The high end Mexican Fender stuff is superior to the low end American stuff for sure. My Classic Player strat kicks the crap out of any Hiway 1 or American Standard. It beats the hell out of my American Strat too.